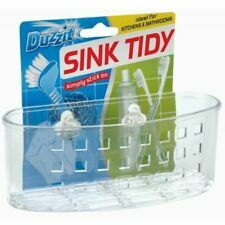 Duzzit Clear Sink Tidy - Ideal for Kitchens & Bathrooms - toothbrush holder ect. Duzzit Sink Tidy. Ideal For Bathrooms & Kitchens. - Ideal For Bathrooms & Kitchens. StewartGibson - Marigold size small. Durable nylon bristles easily scrub away food, stains and dirt. Safe for use on non-stick surfaces. StewartGibson - Marigold size large. StewartGibson - Marigold size medium. Sink tidy organizer for kitchen or bathroom. Can be used on the worktop, hang over the tap or double sink. Our Mission. You can choose from the below. Duzzit Sink Tidy. Ideal For Bathrooms & Kitchens. Premium Multi-Use Sink Caddy. 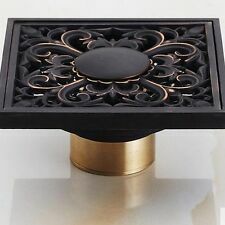 A fabulous addition to your kitchen and sink area. - Channel Islands. Catch hair, food, and other debris before they get into the drain and clog it up with these drain filters. Ideal for use in kitchen sinks, shower cubicles, and bathtubs. 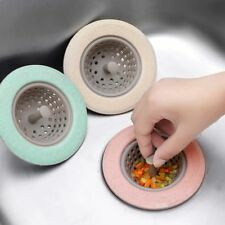 Pair of star shaped silicone drain filters. Slimline sink tidy for storing brush and sponges. We operate a dispatch policy to ensure. 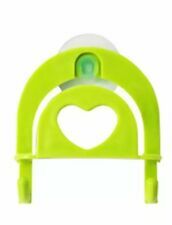 Green heart shaped sponge tidy. Keeps your kitchen and/or bathroom cleaning area look neat and tidy. As seen on many professional cleaning accounts on Instagram! Fits many sizes of sponges. Also has two hooks for hanging cloths or various other cleaning items. 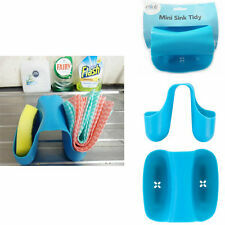 This holder allows your cleaning items to air dry, helping reduce bacteria. It works well (for a power shower look to out Super Sinkie for showers). Rectangular Bowl Tub Benetton Made from durable high grade plastic Ideal for use in bathroom & Kitchen Can be used for clothes & vessels also . Model Number: 2342100. Colour: Silver. Date First Available: 18 Nov. 2011. Whether you are looking for an update to your kitchen, bathroom, bedroom or elsewhere, discover it within our extensive selection of products. These accessories bring a touch of class and elegance to the kitchen and bathroom while, simultaneously, helping to keep the kitchen or bathroom tidy.